Whether you’re a professional or a beginner, investing in high-quality ping pong balls is one of the best things you can do to up your game! From bounce to spin, the balls you play with have a major effect on every match. We’ve put this guide together to introduce you to the best table tennis balls on the market. Our reviewers have spent hours upon hours comparing balls from all the different manufacturers–at every price point. Below, you’ll find our current recommendations, along with helpful buying advice for choosing your next set! This Franklin Sports set pretty much defines value. You’re not going to find many cheaper balls on the market, but the Franklin Sports 1-star’s are remarkably good for the price! They don’t have the bounce and responsiveness of our more expensive recommendations, but they’re very resilient and they serve nicely as practice balls. They’re perfect beater balls for teaching children or for practicing when you don’t want to put wear and tear on your 3-star’s. We think they’re by far the best 1-star’s on the market, both in terms of durability and playability. JOOLA are making some really great budget balls these days, and these 3-star’s are no exception. They’re the least expensive 3-star balls we recommend. We like them because they’re an inexpensive way to practice with balls that perform closer to competition models without spending too much money. What’s the catch? They’re a bit slower than the nicer 3-star models below, but the main reason they’re so cheap is they’re an older style of ball made from celluloid. They’re not as resilient as the newer ABS/composite balls. These play very well for the price (if not as great as the Nittaku’s or Butterfly’s) but they do crush easily. Celluloid is also not considered tournament-approved anymore. These STIGA balls are the best of the budget 3-star’s, as far as we’re concerned. They’re up to all the latest specs for ITTF and USATT. The bounce easily matches the celluloid JOOLA’s, and the STIGA’s spin and control capability make them worth the investment for players who have some technique up their sleeve. 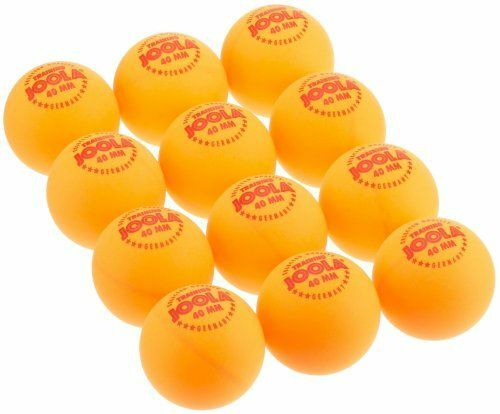 These are good ping pong balls for the average player. They’re cheap enough that intermediate players can justify practicing with them, but nice enough that skilled folks won’t feel like they’re missing much by using them as opposed to premium balls like those below. You can’t compare the STIGA’s to the Nittaku’s or Butterfly’s, though. They simply aren’t as responsive, especially in the bounce department, and they won’t last as long. These are as nice as most people will want to practice on, but you should consider one of our top-notch picks for serious competitions. 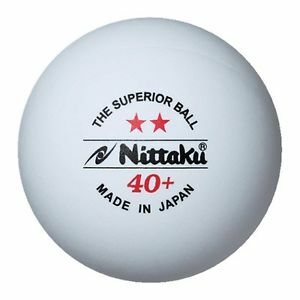 Nittaku’s are premium ping pong balls with a devoted following among passionate players. They’re actually the most expensive balls here, despite the fact that we think the Butterfly’s are better. They aren’t the hardiest balls in the world, which is why they don’t make our top slot, but they’re absolutely stellar to play with. While beginning and intermediate players might not notice a huge difference, skilful servers will appreciate the added bounce factor these have compared to other celluloid-free 3-star balls such as the STIGA’s. The biggest downside of moving away from celluloid is the decrease in bounce, especially in cheaper balls. The Nittaku’s play just like celluloid balls, if not better. The grip is pretty great, too! You can reliably use all your tricks with these. Coming in at the top of our rankings, the Butterfly G40+ 3-Star balls are the best on the market. They have the best bounce, the best resilience, and the best grip for spin. 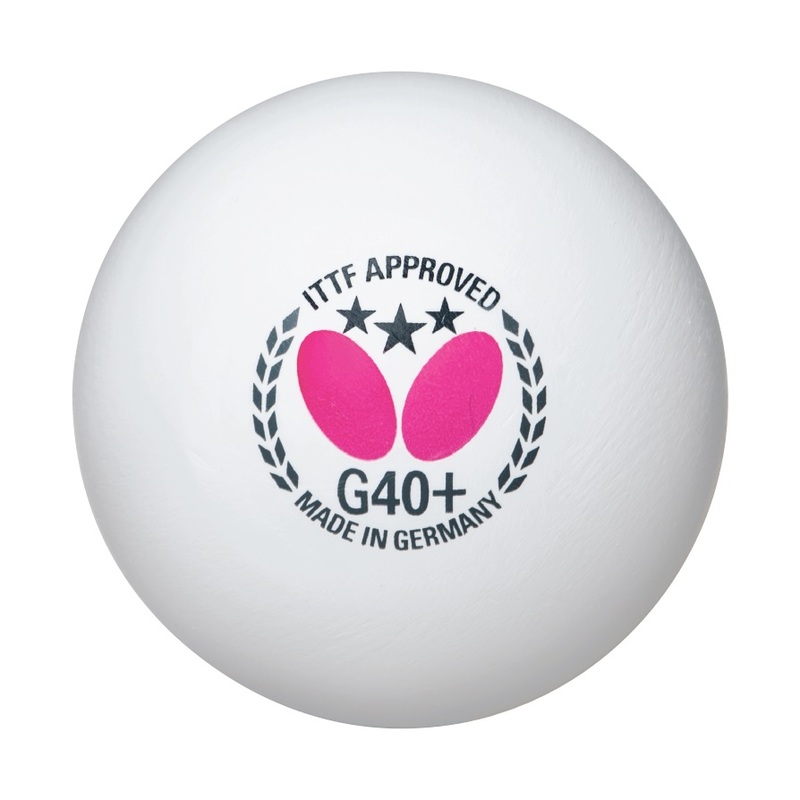 These are top-notch tournament balls which meet all the latest ITTF and USATT requirements. We recommend them to passionate, competitive players who want the best of the best. While the most passionate ping pong players all have their own brand loyalties, we think these have an edge over the Nittaku’s. You’ll find differing opinions on player forums, and you should know that this is a subject of fierce debate! Frankly, we’re hard pressed to describe the difference between the two in concrete terms. We think the Butterfly’s give slightly better bounce and spin, but that’s purely subjective. The biggest advantage they have is their resilience. In our experience, Nittaku’s simply crush too easily. These last longer. When you’re spending this much on each ball, we think that counts for a lot. Which of the table tennis balls above should you buy? 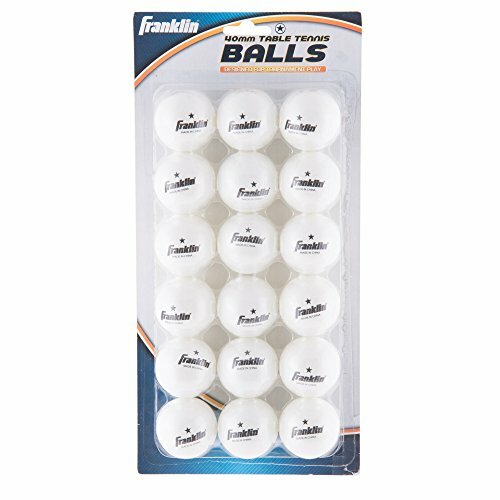 If you’re on a tight budget or just want some beater balls for practice, the Franklin Sports 1-Star balls are ideal. They’re cheap, serviceable, and last a surprisingly long time. Just don’t use these if you’re an ambitious player or competing seriously. The JOOLA’s are the cheapest 3-star balls we recommend. They’re a good practice upgrade from the Franklin Sports balls. They’re a bit bouncier than the Franklin’s and good enough for most folks to practice with. Still, they’re not something that an ambitious player will be satisfied with. The STIGA’s are our suggestion to the average player, who wants a solid 3-star ball that they won’t feel bad practicing with. They’re still fairly affordable but they play much better than the JOOLA’s and the Franklin’s. They’re also competition-qualified, so you can go ahead and use them for the big match. The Nittaku’s are the priciest balls we recommend, even though we don’t quite consider them the best. We feel compelled to suggest them as an alternative to the Butterfly’s, though, since they have such a loyal following. In fairness, they do play amazingly well! They don’t last as long as the G40+’s, though. That’s a key reason why we think the price of these is hard to swallow. Get them if you have a preference for Nittaku over Butterfly. Otherwise, go for the Butterfly’s. Last but certainly not least, the Butterfly G40+’s are our favorite balls on the market right now, hands down! They’re our recommendation to the most serious players. These are world-class competition balls good enough for the pros. They have the best combination of bounce and resilience of any balls you can buy. The only downside is the cost. Most of us don’t spend this much on practice balls. We’d recommend them for match use only, unless cost isn’t a concern for you. Table tennis balls are rated by number of stars, from 1-3. You’ll most often see 1 and 3 as ratings, since most manufacturers don’t make 2’s. The differences aren’t always the same across the industry. Manufacturers rate their own balls, so just know that the higher the rating, the better the ball. 3-star balls have more bounce, spin, and grip than lesser models. They should also last longer (at least in theory). And, of course, they’ll cost the most. 1-star balls make great beaters for practicing. They’re also the obvious choice for teaching kids to play. They’re so inexpensive that you won’t mind the occasional crushed one. If you’re intermediate or advanced, you should really be playing with 3-star balls, even when you practice. That’s the only way to get the same feel and effect as you’ll have in a serious match or competition. While nicer ping pong balls should be more resilient than cheaper ones, you’re still dealing with a thin piece of plastic. No table tennis ball will last forever, so don’t expect miracles when you invest in high-quality balls. A little care still goes a long way to preserve your stock! Avoid heat, moisture, and direct sunlight when you store them. Pick balls up off the floor to avoid accidents. Our advice to any intermediate or advanced player is to keep two sets of balls: nicer balls for matches, and cheaper balls for practicing. A lot of us will be perfectly fine using 1-star balls for practice. If you want to practice with balls that approximate the performance of your match set, get yourself some cheaper 3-star’s to use as beaters. 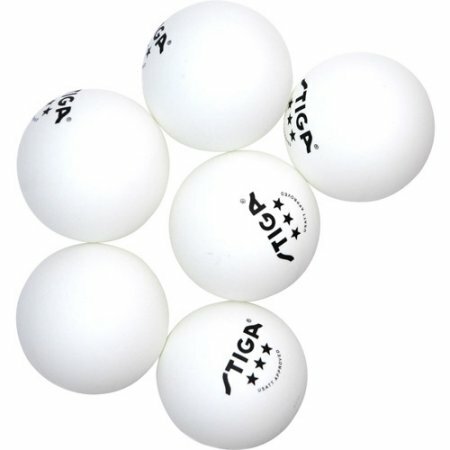 You can compare prices and see multipack options for all the ping pong balls above by clicking on the links in our reviews. 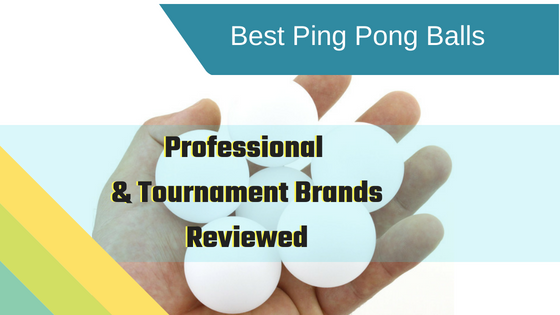 For more reviews of the best ping pong gear, along with guides to cover all your other gameroom needs, check out our homepage!